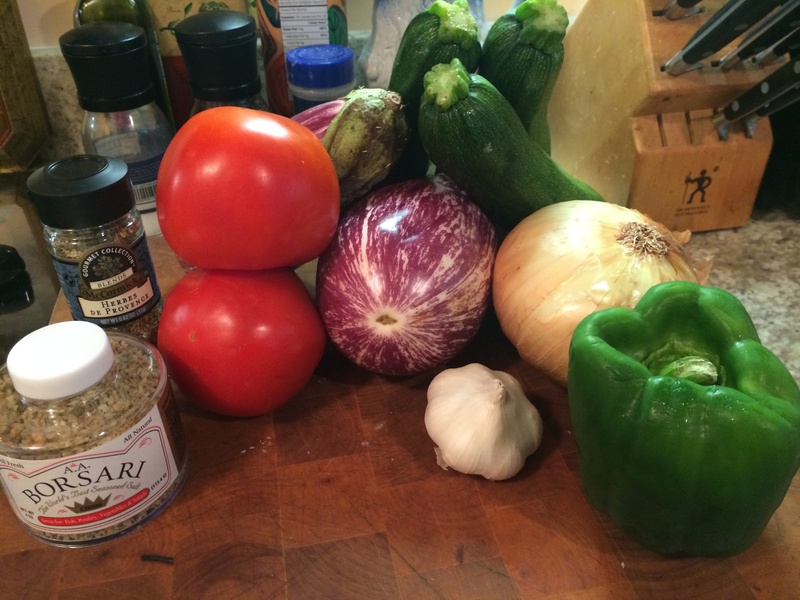 For someone who loves to cook, I don’t often follow recipes exactly. I mean I use them all the time, but I tend to have a rather loose manner with them, altering them to my tastes or using my own experiences with a dish. Except of course with baking. Baking is a science and experimenting with it can have disastrous results. 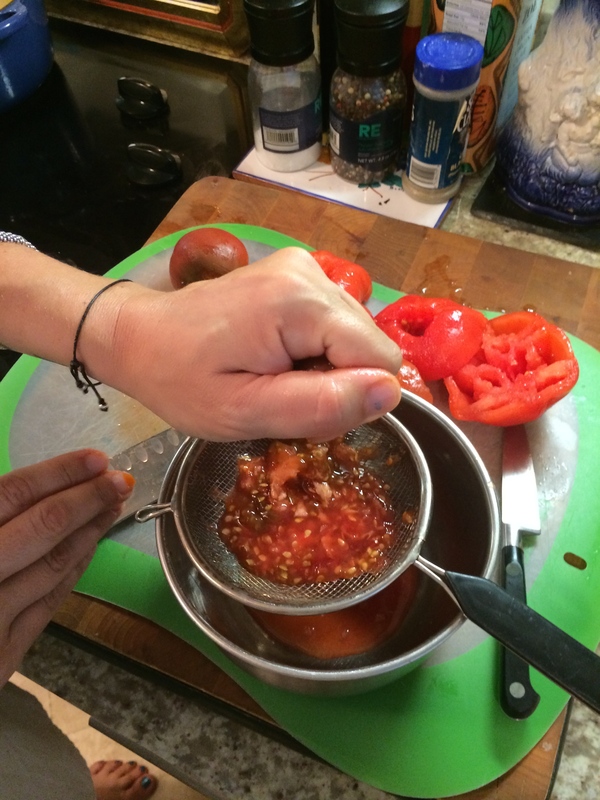 But in cooking I feel a bit more confident, and use recipes more to educate myself on a technique, or flavor ideas. There are exceptions to this rule of course, and one of them is trying to cook a specific dish from “Mastering The Art of French Cooking” by Julia Child. You don’t mess with Julia’s way of doing things. I have used her techniques in a few things, for instance cooking mushrooms her way. Incredible! I am nursing some oil burns on my hands from my last mushroom cooking experience but the results make it worth it. Besides, all cooks have scars. Last week Mama Sis and I took Littledude and Ladybug to a full-time Farmers Market in our neighborhood. 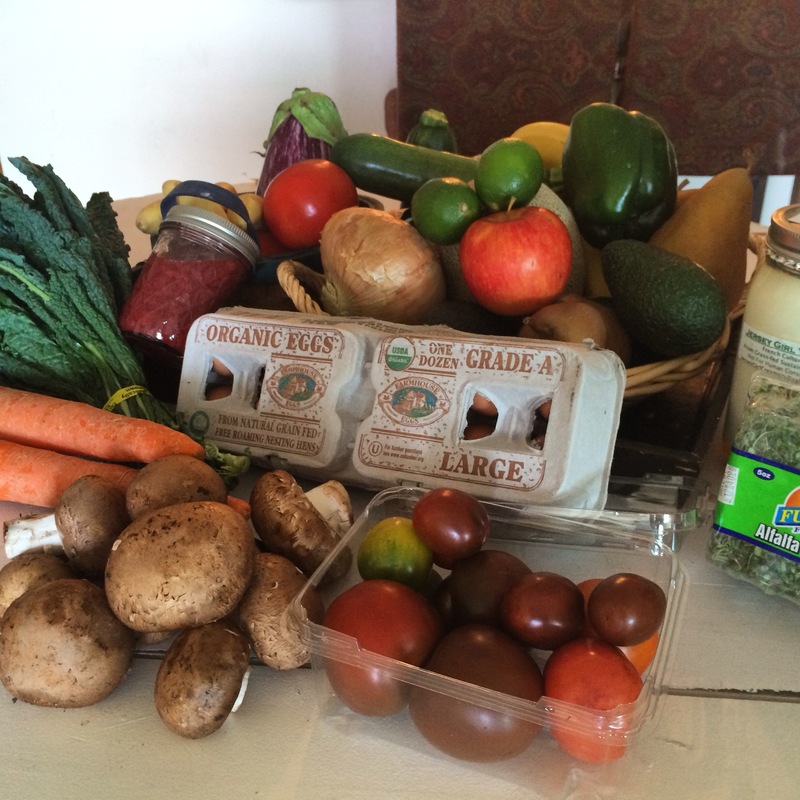 It’s pretty amazing, organic produce, herbs and flowers. Plantings for sale along with honey from their own hives, eggs from their chickens and ducks and only the best in pre-packaged produce such as Organic Girl Greens and a new yummy discovery; Jersey Girl Creamery French Cultured Yogurt. The kids love running around, feeding the goats and eating organic apples they pull out of the basket and take off with (yes we keep track and pay for the goods they sample). 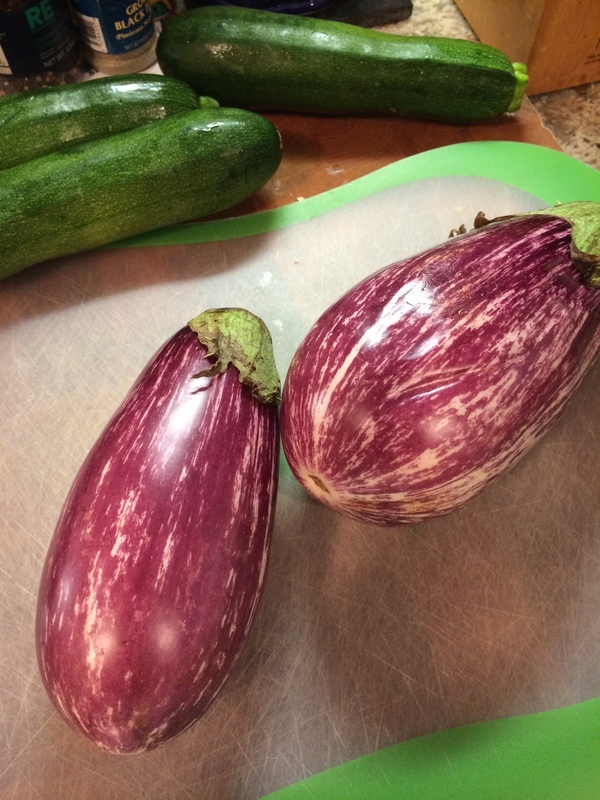 We came home with an Organic Bounty that day, and while packing up Sis looked at the beautiful Aubergines and mentioned how she would like to have Ratatouille. As it turns out we had all of the ingredients needed except for green peppers so I went back to grab that before we headed home. Ok I DID make a little change. The recipe simply called for dried parsley and salt. 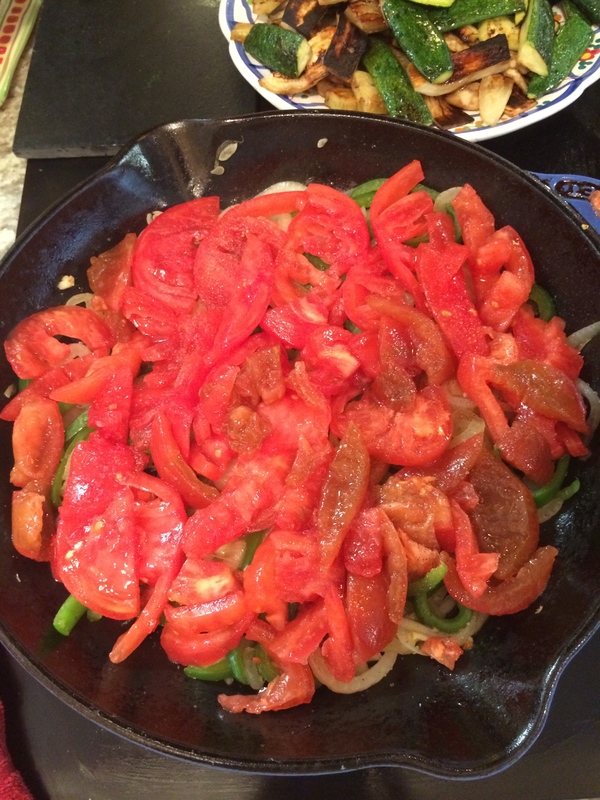 I used Herbs de Provence and Borsari seasoned salt. First up trim the ends of the eggplant and peel. It seems a shame to peel the lovely skin of these aubergines, especially as the skin is thinner than an average eggplant, but I was following the recipe. Speaking of….the ruler? What is the deal with that? 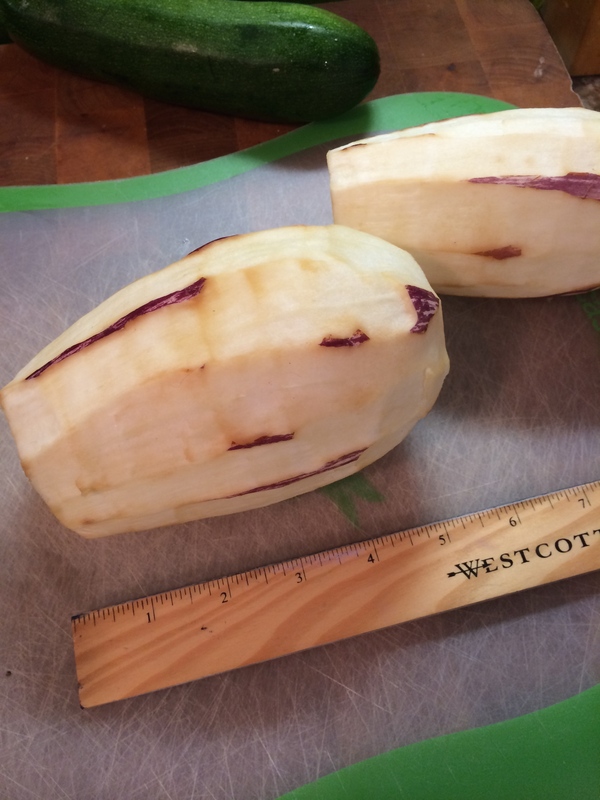 Well when I decided to really follow her recipe I went for it, and her directions of cutting the eggplant into: “lengthwise slices 3/8 inch thick, 3 inches long and 1 inch wide” made the “type A” part of me pull out a ruler. Yeah I know…I know. 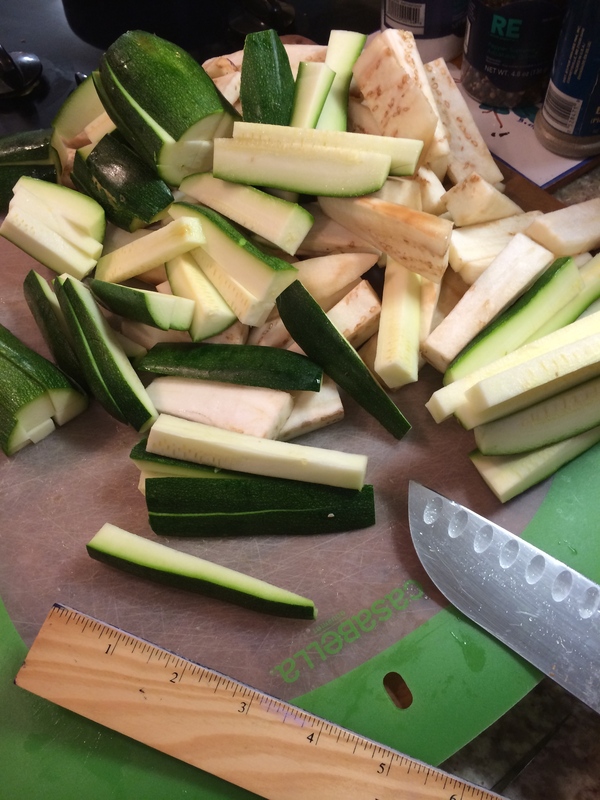 Next up was washing and cutting the Zucchini the same size. Then put both in a large bowl, salt the mixture, mixing with your hands and then letting it sit for 30 minutes. 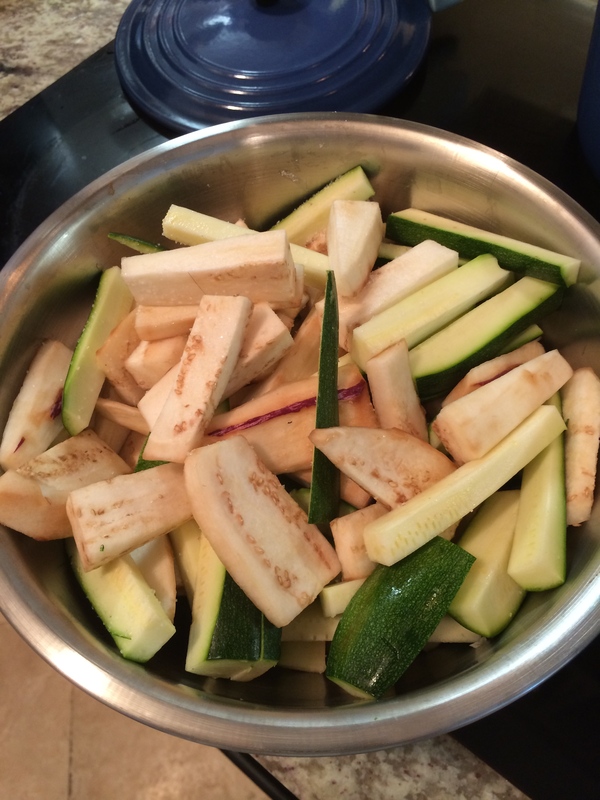 This drains and releases excess moisture from the eggplant and zucchini, as well as making the eggplant tender and helps to remove any bitterness. 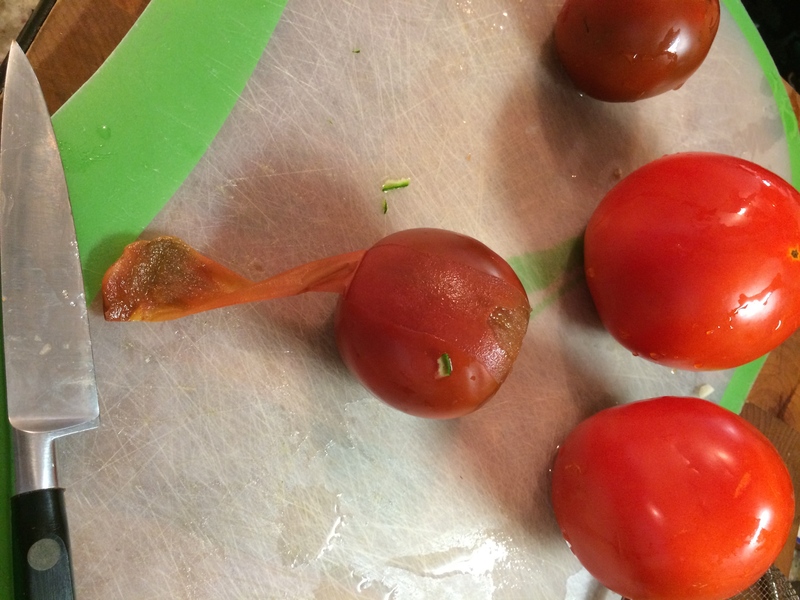 While this is happening, get your tomato pulp ready. 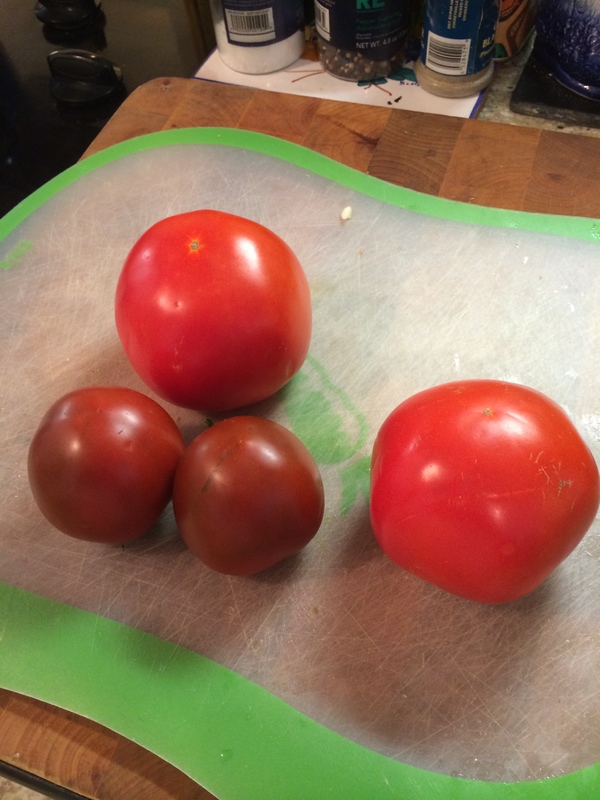 In order to peel the tomatoes, drop them in hot water (bring to boil then turn off heat) for 10 seconds. 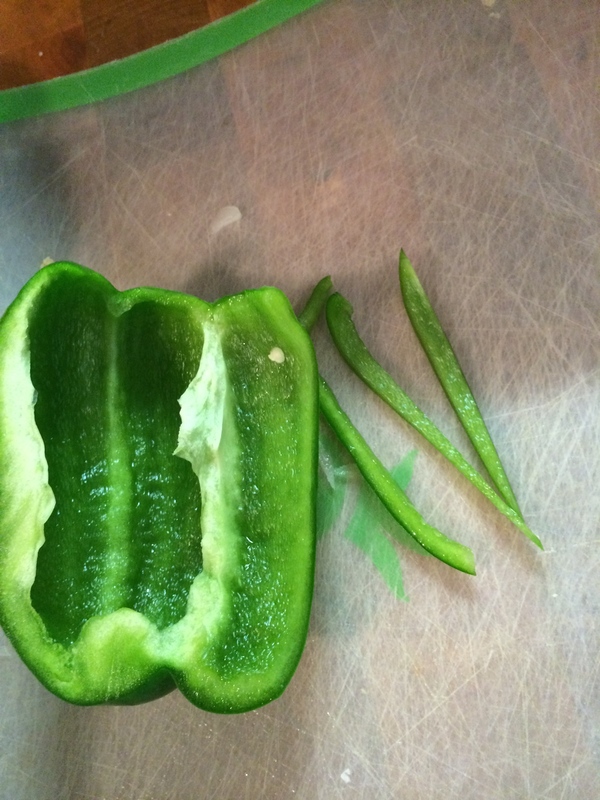 Then you can peel them and I have to say – wow it makes it so much easier to peel! 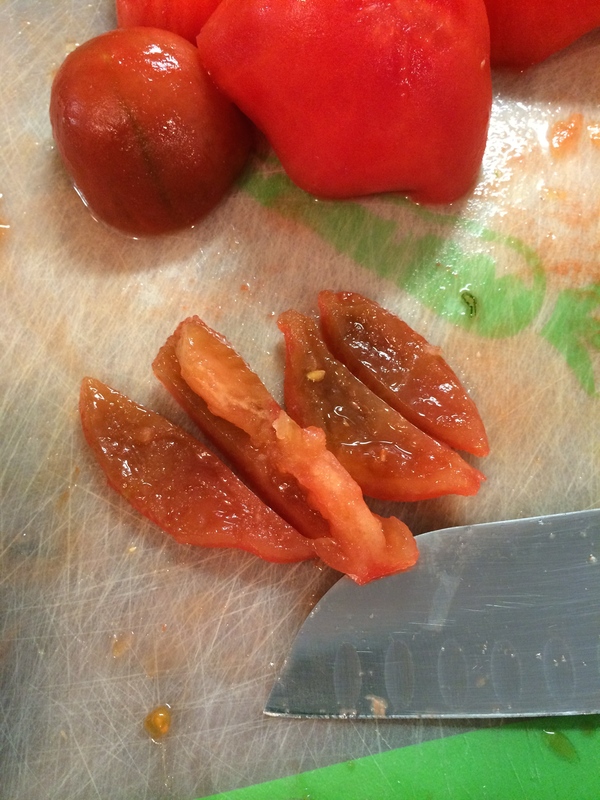 Next to prepare the tomatoes you cut them in half (not through the stem) and gently squeeze to remove juices and seeds. 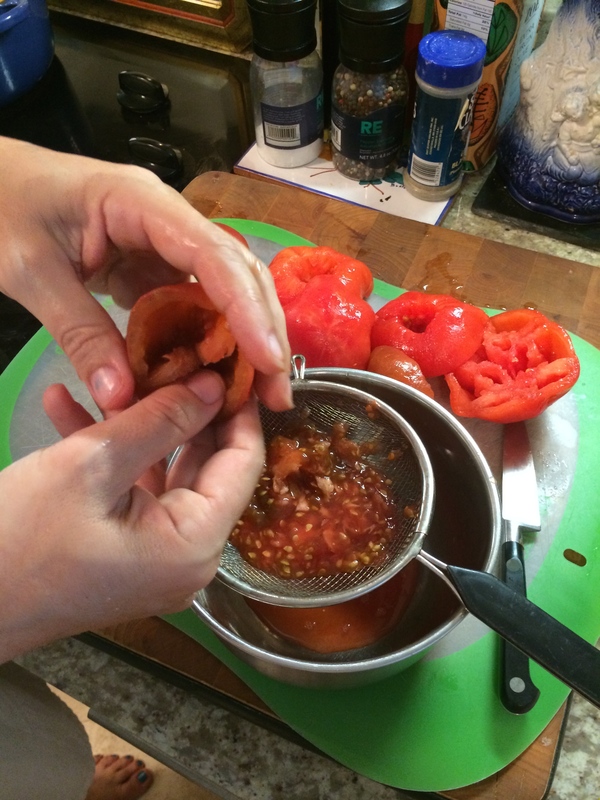 Once this is done you have what Julia calls “Tomato pulp” which you then slice into strips. 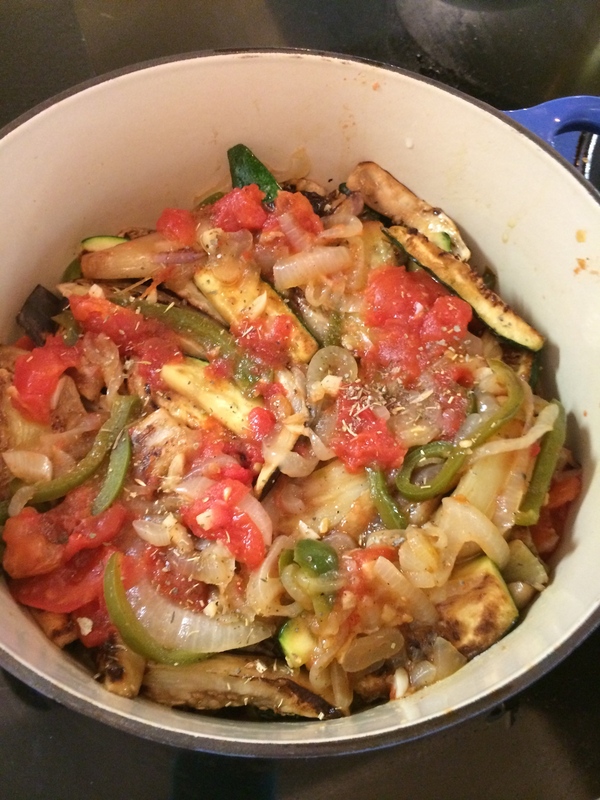 Next you cook the eggplant and zucchini in some olive oil. The catch? You have to cook them one layer at a time so you can brown both sides, I ended up having to do 4 batches. 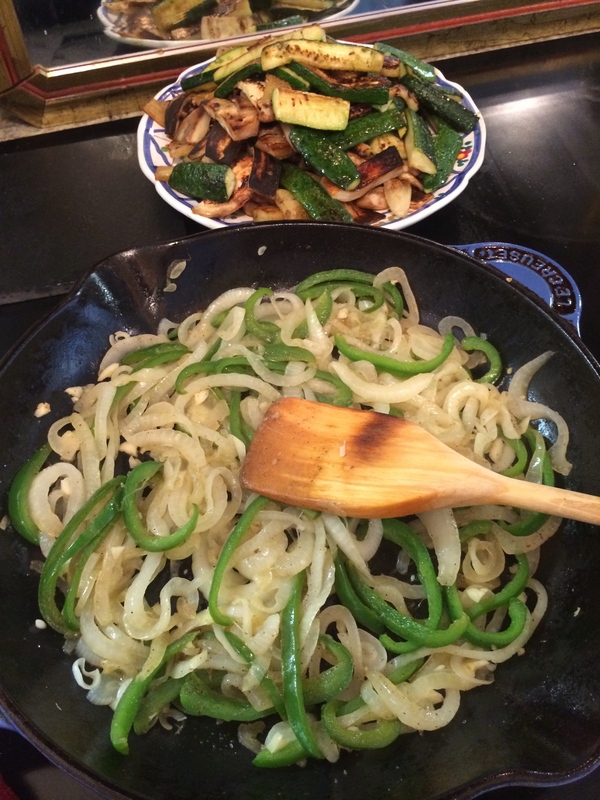 When the eggplant and zucchini are cooked and resting in a dish, you take the green pepper and onion (I used sweet), slice very thin and sauté in the same pan over medium heat with 2 – 3 cloves of smashed garlic until soft. 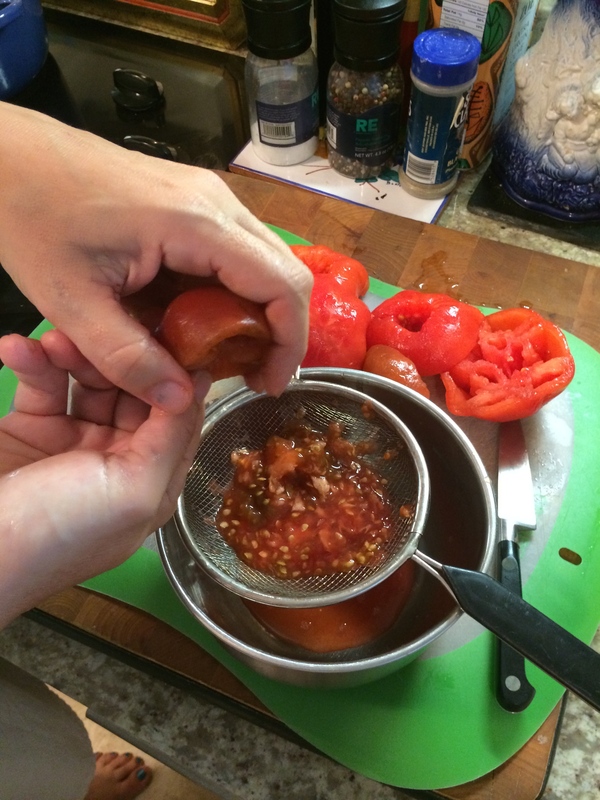 Then you lay the tomato pulp strips on top of the onion mixture, cover and simmer over low heat for several minutes until the tomatoes have begun to render their juices. Uncover, baste the mixture with its own juices, raise the heat and boil for a few minutes until the juice has almost entirely evaporated. Mix together. 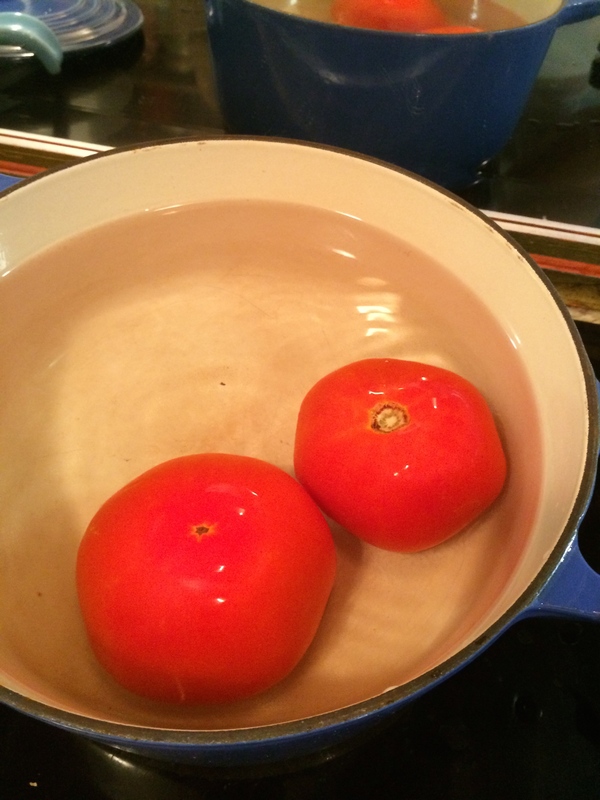 Now Julia calls for a “heat proof casserole” dish – which is on my list of Le Creuset items I want but do not yet have, so instead I used my medium-sized enamel coated Round French Oven by Le Creuset. Now you layer as follows: 1/3 tomato mixture, 1 tbsp dried herbs, half the eggplant zucchini mixture, another 1/3 tomato mixture, 1 tbsp herbs, remaining half of the eggplant, topped with remaining tomato mixture and more herbs. Cover and simmer over low heat for 10 minutes, uncover and baste with remaining juices that have rendered, raise heat slightly and cook uncovered for about 15 minutes, basting until remaining juices have evaporated. 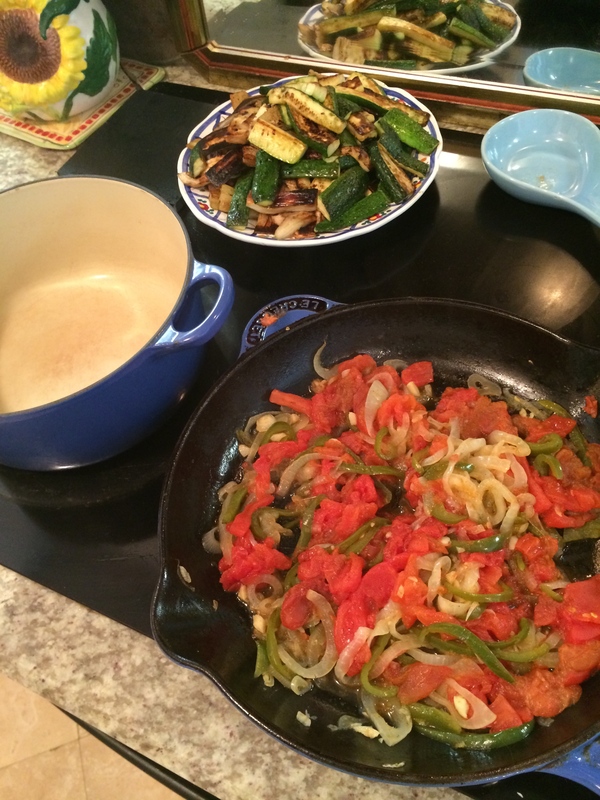 I was then able to set aside (uncovered) until dinner time when I reheated slowly. 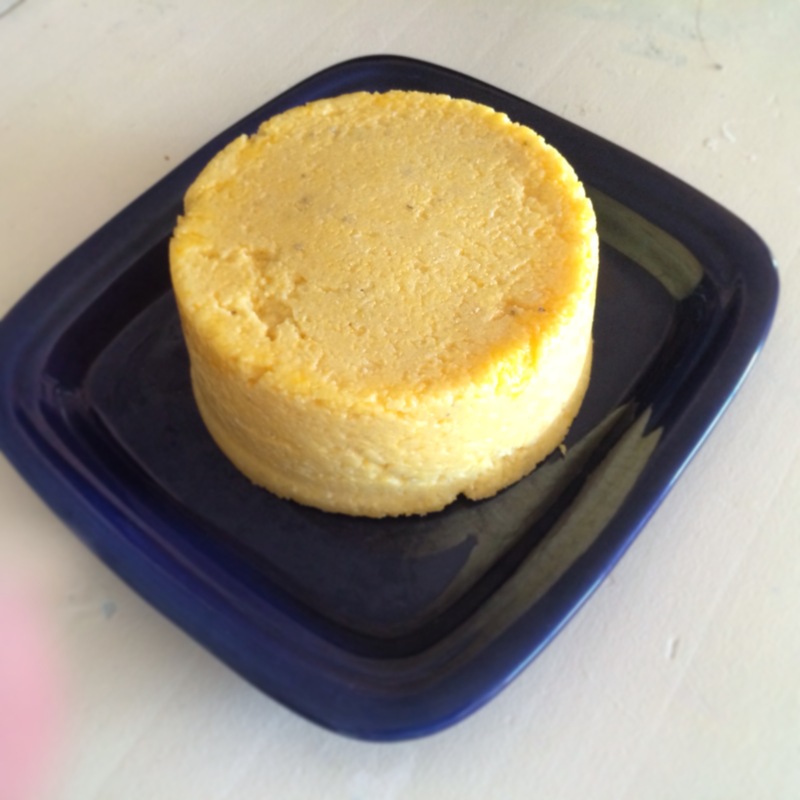 Meanwhile I made a classic Italian Polenta mold – because I hadn’t been in the kitchen long enough, and added fresh grated parmesan cheese (about 1 cup) to the polenta. 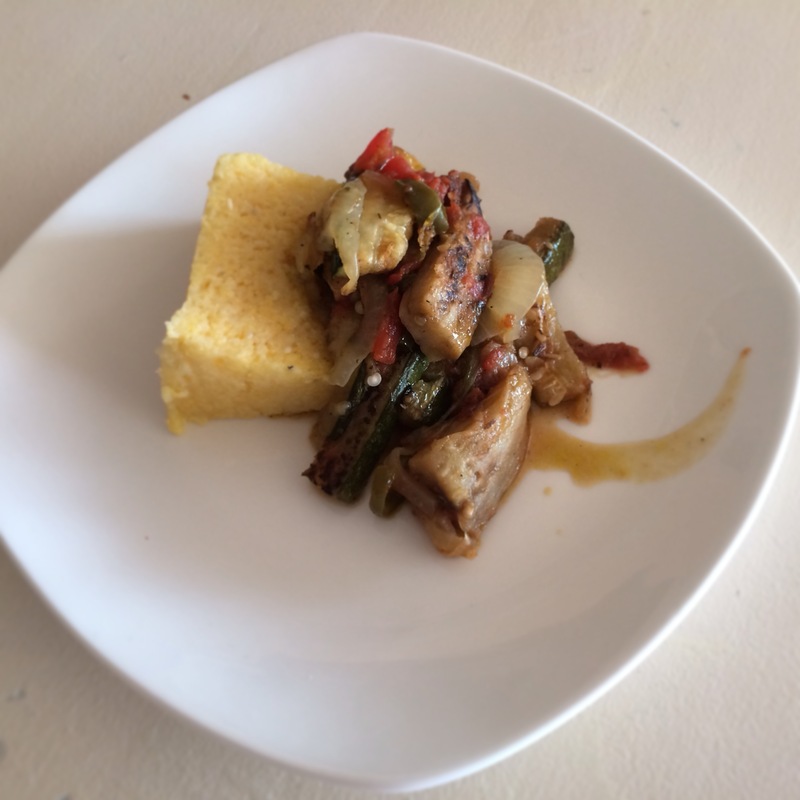 Finally with the cheesy polenta cake still warm, I cut and served a wedge of Polenta with the Ratatouille on top. HEAVEN! Seriously. The kids didn’t eat it, but I went into this expecting them not to eat anything other that the polenta and frankly Mama Sis, Nonna and I were fine with that. It meant more for us. 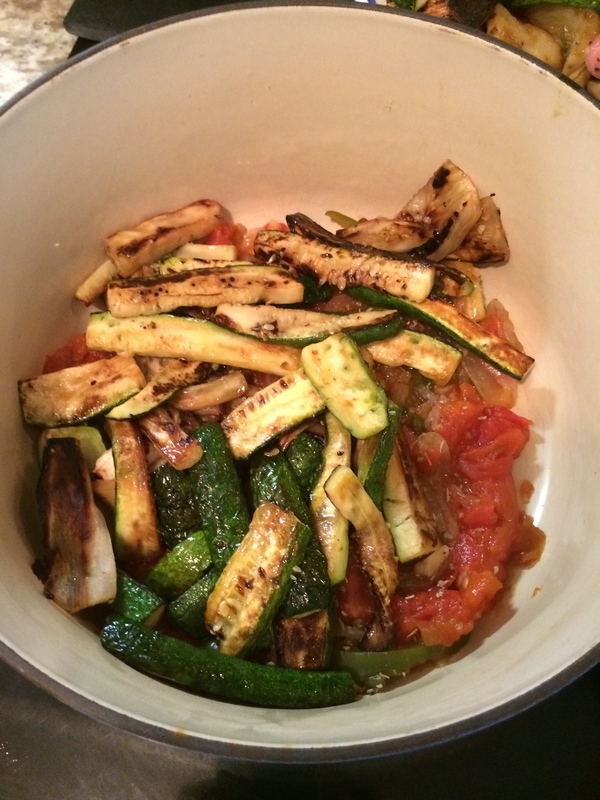 I have to say it was some of the best Ratatouille I have ever had and even BETTER on a second day re-heat. Sometimes it’s worth all the complicated and arduous steps for a result like this.